Located in the heart of Reston Town Center, guests will enjoy our airy interior surrounded by glass paneled French windows. Deep mahogany wood, rich leather banquettes, a stunning wall in which wine is displayed and a mosaic tile floor complete the bistro atmosphere. Our menu signals a return to simple French food and features classic steak frites, a wide selection of fresh seafood and plats du jour. Mon Ami Gabi offers rolling wine carts, displaying the best value and seasonal selections. Mon Ami Gabi is a warm and welcoming bistro, offering a variety of catering and private party options. We offer three rooms which seat 6 to 80 guests and are perfect for private events, or the entire restaurant offers seating for groups up to 200 guests. The room is audio visual compatible for program events. 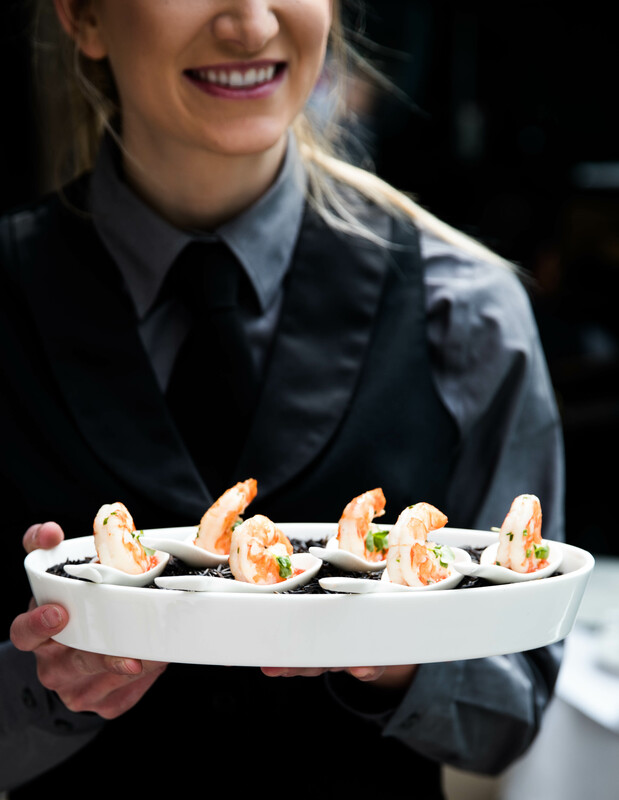 Mon Ami Gabi is pleased to provide carryout and off-premise catering for groups of all sizes. Choose from passed appetizers like Mini Lobster Rolls and Shrimp Cocktail Shooters, or opt for sandwiches and classic French entrées. Click each name to view our spaces. Tell us more about your special event and let Mon Ami Gabi take care of the details. Please fill out the form below to contact our Special Events Coordinators, Kimberly Sasai and Xiomara Membreno, at 703-707-0233 or via e-mail at monamirestonparties@leye.com.